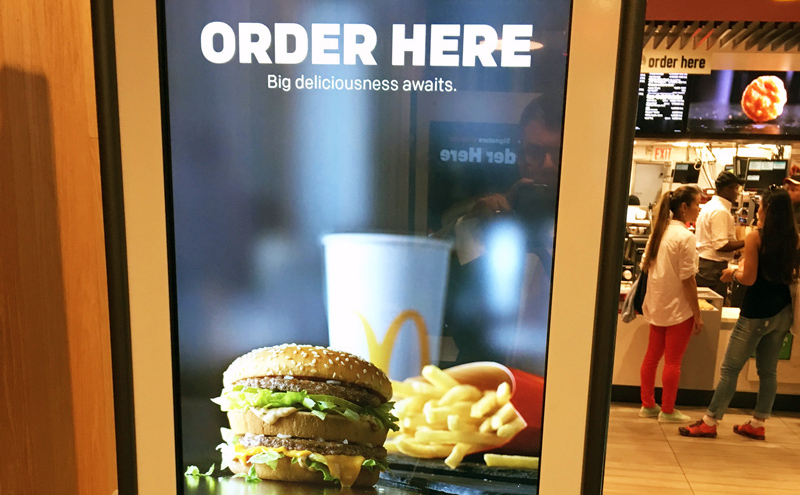 Buzzfeed has an article about McDonald's rolling out more and more of those computerized kiosks where customers can order food without dealing with an employee getting paid a minimum wage that was raised by some well meaning but economically clueless politician. Kiosks are fine, but it seems to me that the real action in this space is in cellphone apps. Not only at McDonald's but also higher-end restaurants or quick-service establishments like Starbucks and Honeygrow, cellphone apps make it easy for returning customers to re-order their regular order and also pay using ApplePay or a credit card saved in the app. Also, you can use your phone to place the order before you even get to the restaurant, so it's ready and waiting when you arrive. People concerned about germs may also prefer using their phone to some kiosk that other customers have had their hands all over. From the restaurant's perspective, if the customer uses a phone, it's less wear-and-tear on the kiosks. The more customers use the phones, the less capital the restaurant company has to spend on kiosks. With the phones, the customer pays for the device that functions as the cash register. With the kiosks, the restaurant has to pay for it. Airlines have figured this out, which is why they are so eager for you to check in and print out your boarding pass from your home computer (where you pay for the paper) rather than at the airport (where the airline pay for the paper and the kiosks). It's the same idea. In both cases, it's a story not only about the unintended consequences of wage increases (via union negotiations or mandated minimum wages) but about the way profit incentives and technology can create better customer experiences.